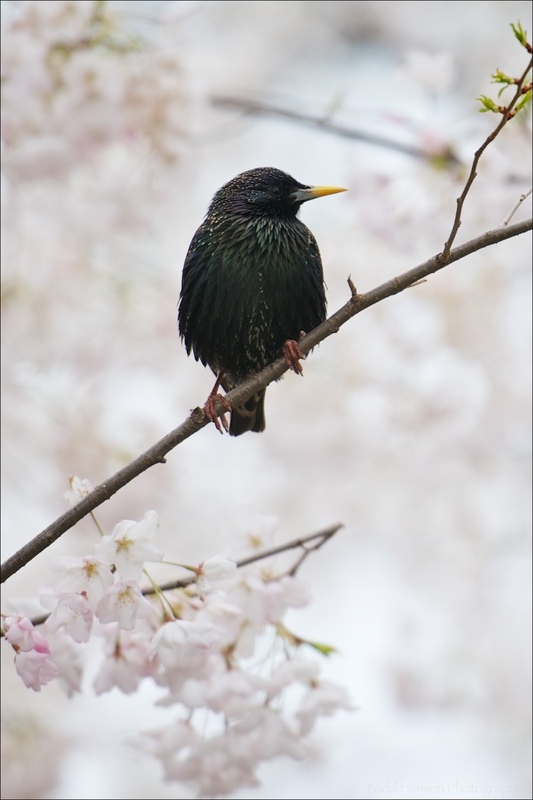 European Starling are a surprisingly attractive bird for what at first appears to be a simple blackbird. They are primarily black covered with yellowish spots and with iridescent feathers that appear green, blue, purple, etc, as the light changes. During the breeding season their beaks are yellow, at other times they are dark. They are often seen in populated areas, coming to bird feeders, and sometimes travel in larger swarms. 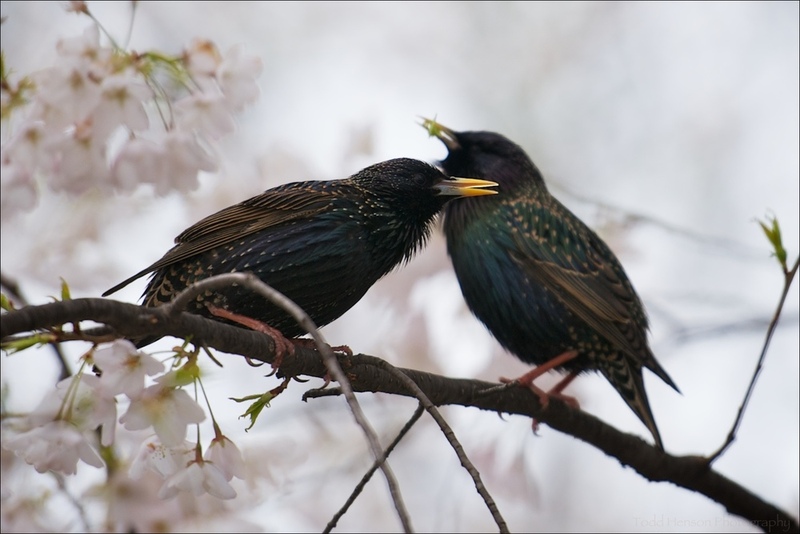 These particular European Starling were photographed amongst cherry blossoms in early April, 2011. They were very vocal and active, moving between branches, and singing almost incessantly. A great book about starlings is Mozart’s Starling by Lyanda Lynn Haupt.